PSP Elektronik is specialized in providing a wide range of services for the entertainment industry, stage and studio performances and media. This includes setting up of concert stages, selling or renting sound and light equipment for live events, but also event production, where our company takes responsibility from beginning to the end. PSP Elektronik is often assigned to prepare and equip studios and concert venues, as we have a great amount of experience in sound engineering and soundproofing. Beside our technical expertise in concert production and system installation in studios, theaters and other venues, we are also one of the biggest suppliers on Serbian market of audio equipment, stage lighting, stage elements, and the necessary material such as cables and connectors. 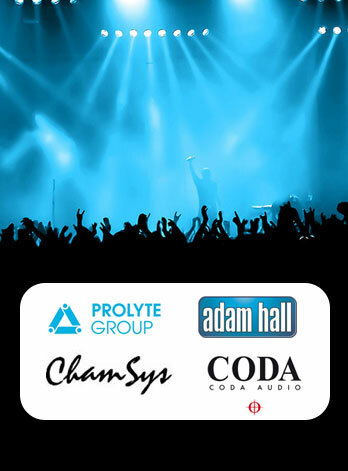 During the last two decades we developed strong relations with leading European manufacturers of all types of the equipment for the entertainment industry and manages to become certified dealers for big brands such as Prolyte Group, Adam Hall, Coda Audio, ChamSys and many others, with focus on German companies with their great reputation for producing first class equipment. We have a great store of items on-hand and we are selling both in our store in Novi Sad and online. Many of the items in store also available for renting, with very reasonable prices and latest generation technology on offer. Our clients are mostly interested in renting complete concert stages, sound systems and mixing equipment. We also manufacture parts for transport cases and cases themselves, as well as instrument racks. Stalna težnja ka boljoj i kvalitetnijoj ponudi proizvoda, roba i usluga je glavni naš moto.